I use brass tube spacers to keep the wheels centered between the frames. The old woodworks built in the early 1800's had wooden arbors with steel pins stuck in the ends that served as arbors. 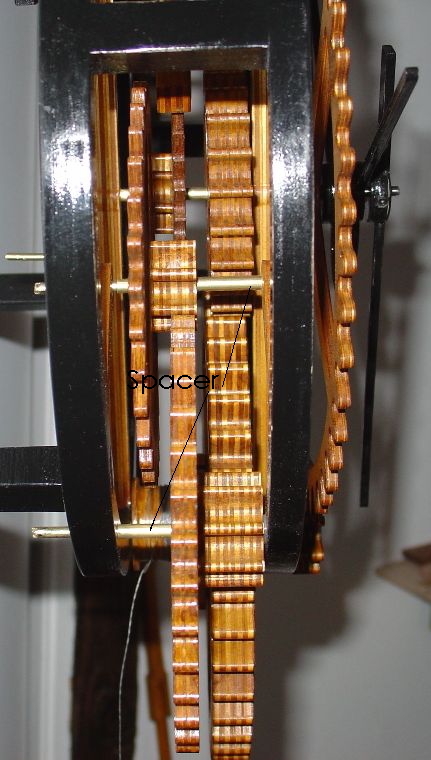 You can either make wooden spacers or use brass tubing. I like the brass. It's easier to work with and it looks better to me.